One-Cap Wonders! - LFChistory - Stats galore for Liverpool FC! Steven Gerrard, Kenny Dalglish, Rigobert Song... Liverpool FC has had some glorious internationals throughout its history, including the three aforementioned centurions. The annals of greatness don’t end there, either, with World Cup winners, Olympians and numerous international captains and record holders also plying their trade with a Liverbird upon their chest at one point or another. But what about slightly further down the spectrum of national adulation? What of those players who work their way into a national team’s record books for less glamorous or glorious reasons? Those who can only dream of ever being recorded for posterity in a Panini sticker album, whose sole international careers have only ever amounted to just one cap? Perhaps unsurprisingly, given the regularity of international friendlies and the abundance of available talent in the modern game, Liverpool have harboured more than a few One-Cap Wonders down the years. The earliest must surely be Englishman Harry Bradshaw, who carries the distinction of being the first Liverpool player to be called up internationally, his debut against Ireland in February 1897 proved to be his only cap. Two years earlier, there had been similar international recognition for Londoner Gerard Powys Dewhurst in a tie with Wales, but as Dewhurst had already been and gone (playing once in 1894) the history remains with Bradshaw. Harry Bradshaw only claimed his status by a slim margin – Scotsman George Allan became Liverpool’s first international north of the border in April of 1897. Allan had a truly impressive goalscoring record for his club, which eventually totalled at a goal every 1.71 games. The 1897 game with the ‘Auld Enemy’ was to be his only appearance in the dark blue of Scotland. Allan died of tuberculosis at only 24 years old. Countryman Billy Dunlop joined him in the LFC One-Cap Wonders club in 1906, his possible disappointment at being generally overlooked by his country surely soothed by his 363 appearances for Liverpool. Staying in the early years, a handful of players notched up a solitary appearance for both England and Scotland, although their spell in the spotlight did not overlap with their days in Red. It wasn’t until March 1921 that John Bamber became Liverpool’s next One-Cap Wonder, and the solid right-half would surely have appeared more in England colours were it not for a spell of illness early in the 1921/22 season which unfortunately derailed his Anfield career. After Jock McNab ran out for the only time for Scotland against Wales in 1923, it was almost half a century before Anfield saw another One-Cap Wonder – notwithstanding South African Doug Rudham, who signed for the Reds after impressing during a tour of England with the Bafana Bafana in 1953, and Johnny Wheeler, who signed from Bolton Wanderers in 1956, two years after his only England appearance. Despite four league titles, three European trophies and well over six-hundred appearances for Liverpool, there is a school of thought that Iron Man Tommy Smith remains overlooked in the pantheon of English football greats. Bill Shankly said in 1971 that if he wasn’t chosen as Player Of The Year, the selection panel should be sent to the Kremlin, and they should’ve been accompanied by the succession of England managers who overlooked Smith, as unbelievably he made only one appearance for the Three Lions, in May ’71. Smith had been called up two years previously against Holland without making an appearance and fancied his chances of making the 30-man group chosen by Sir Alf Ramsey in preparation for the World Cup in Mexico. A cracked knee cap suffered against Vitoria Setubal in late November forced him on the sidelines for two months and out of the reckoning for the World Cup. Staying with players who you wouldn’t want to chance upon in a dark alleyway, Neil Ruddock (the man who once broke Peter Beardsley’s cheekbone in a testimonial) is also a member of this illustrious group, though that’s where the similarities with Smith end. It was his former manager at Spurs, Terry Venables, who handed Razor his one and only cap, in a friendly with Nigeria in November 1994. As Doug Rudham’s short-lived international career proved, however, it is not just the Home Nations that can boast Liverpool One-Cap Wonders. The Norway national football team called upon Bjørn Tore Kvarme just once, in 1997. Spare a thought also for Australia’s Nicky Rizzo, who made only one appearance for the Socceroos in 1998 which was one more appearance than he made for Liverpool in the entirety of his time with the club. A similar distinction was achieved by Liverpool’s former Number 2 keeper, Tony Warner, who made his Trinidad & Tobago debut in 2006, just before his 32nd birthday, after warming the bench 120 times for Liverpool in the 1990s. Liverpool-born centre-half John Best left the club in 1960 without even making the bench although he later went on to play for the United States national team in a game with Bermuda in 1963. He was one of pioneers of American pro soccer and the first head coach of the Seattle Sounders as well as a five-time all-star with Dallas Tornado from 1969-73. Anfield’s One-Cap Wonders ranks have been bolstered in the 21st century, with injury-prone goalkeeper Chris Kirkland somehow only managing a single England appearance, in 2006 – despite having first been called-up in 2003. There are many reasons to rue the incessant injuries which blighted Kirkland’s career, and from England’s perspective, the incapacitation of one of the most promising young keepers of that decade is high on the list. There was at least one silver lining to the truncated career of a man who could’ve been England’s Number. Upon finally making his debut against Greece, Chris’ father Eddie and a group of his friends made £10,000 each, having placed a bet when Kirkland Jr. was only 11 that he would one day play for England. The bookmaker in question must’ve seen some potential in the lanky young lad, though, as they only offered odds of 100/1 – remarkably short, although still producing a decent windfall after a bet of £100! Naturally, there are few players on this list who have had the experience of a major international tournament, but Jon Flanagan nearly made it – having been called up into the England stand-by squad prior to the 2014 World Cup, he made his debut in a warm-up match with Ecuador in the United States. Following a dismal performance by his side at the final tournament, Flanno probably would’ve been in line for a call-up during the rebuilding exercises afterwards, but the injury that ruined his 2014-15 season also seems to have put a halt to his international ambitions for the foreseeable future as well. 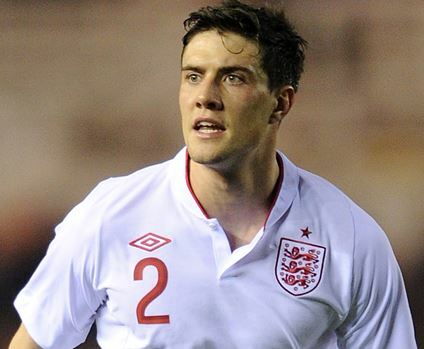 It is only Martin Kelly, then, who amongst his One-Cap peers can boast major tournament experience, journeying to Ukraine and Poland for Euro 2012. It’s for another reason, however, that his international ‘career’ will go down in the record books. Not featuring during England’s run to the quarter-finals, his only cap came in a warm-up friendly against Norway in May of the same year, and Roy Hodgson’s first game as England manager. Kelly’s brief substitute appearance, replacing Phil Jones in the 88th minute, means he holds the dubious honour of the shortest England career in the team’s 143-year history, standing at just two minutes long! The last word, though, must go to two men who will surely expunge themselves from this list in the not-so-distant future – Danny Ings and Harry Wilson. Ings can be considered unfortunate to find his name here at all, as if it were not for the season-ending injury that struck in his first training session after making his England bow, he would almost certainly have made Roy Hodgson’s squad for the November fixtures, and it is safe to say the young striker will have plenty more opportunities to pull on the Three Lions. Similarly, Harry Wilson is a player with his whole career ahead of him and fans of Liverpool and Wales alike must hope it is a career that lives up to its early promise. Wilson became the youngest player ever to appear for the Wales’ national team and consequently Liverpool’s youngest-ever international when he made an 87th minute substitute appearance against Belgium in October 2013. At the age of 16 years and 207 days he beat Wales' previous record holder Gareth Bale by 108 days and at club level he pushed aside previous record holder Raheem Sterling who represented England for the first time at the age of 17 years and 332 days. Although Wilson is yet to add to his tally of full caps, he has become a key player for Wales U-21's so the signs are that a breakthrough is surely not far away now. The Wrexham-born winger joined up again with his senior countrymen for a training camp in June 2015, and that summer he was also included in the Liverpool squad that made the trip to the Far East and Australia on their pre-season tour. Wilson’s maternal grandfather, Peter Edwards, even went one better than Eddie Kirkland, placing a £50 bet that his grandson would one day become an international footballer – when Harry was just six months old! Receiving slightly longer odds than the Kirkland family, Wilson’s debut meant his granddad pocketed over £125,000 – not bad for three minutes’ work. Although future appearances for club or country may be less profitable for his family, Liverpool fans will surely be keeping their fingers crossed that this latest international record-breaker will be making his Liverpool debut soon. Before then though, there may yet be other players - either still wearing the red shirt or who have left it behind - who will write themselves into this most exclusive list of Liverpool internationals.